Metal braces are the most common and the least expensive type of braces. 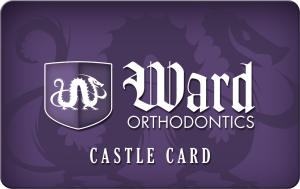 They are made from stainless steel and are tough enough for most kinds of orthodontic treatment. The two essential parts are the brackets, which are glued to the front of the teeth, and the archwires, which run through all the brackets. Attaching the archwires to the brackets are small rubber bands called ligatures. Patients have the option to choose various colored elastic ligatures to add a little aesthetic appeal to their braces. This type is similar in construction to traditional metal braces except for the use of elastic ligatures. A special clip is used as a substitute for attaching and guiding the archwires. The advantage is that there is less friction and pressure on the teeth, and fewer adjustments and replacements need to be made. This means you need fewer dental appointments. This type replaces the traditional stainless steel material with ceramics. The benefit is that the braces are less visible. These braces might appeal to older teenagers or adults who prefer their braces to be least noticeable. Ceramic braces are bigger and more brittle and thus require more care and maintenance. In our office, we usually only use these on the upper front teeth because when place on the lower teeth they often break or cause damage to the upper teeth. Invisalign is an alternative to braces which consists of a series of clear plastic trays which snap over your teeth. Invisalign is a great option because it is much less noticeable than braces and because it is removable. With Invisalign, you do not have to worry about restrictions in food, brushing hassles, cheek abrasions and other discomforts that come with traditional braces. Invisalign does have some limitations, and sometimes cannot produce the same results as traditional braces. However, when used under the proper circumstances, Invisalign can produce excellent results. These braces attach to the tongue-side of the teeth rather than the front. These braces are not visible when you smile because they are behind the teeth. Lingual braces are customized for each individual patient and only orthodontists specially trained in lingual treatment can use them.